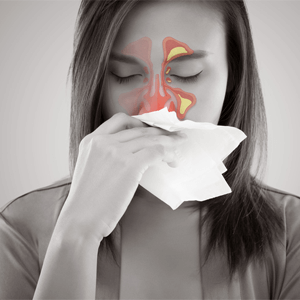 Sinusitis-what are the causes, how can it be treated? The oral and nasal cavity are very closely connected one to another. That is why a lot of conditions and diseases can be easily transferred from the mouth to the nose and the other way around. Sinuses are cavities located in the bones, that have several different functions. There are also many different sinuses located in separate bones. They are located on the bones of the skull and help with the resonance of the voice, hearing and more. All of these cavities can get inflamed, so the condition is called sinusitis. We are talking about respiratory inflammations that affect more than one system. The close anatomical connections of the digestive, respiratory and oral tracts leads to the possibility that the inflammation can spread from one place to another. Since most patients are not aware of the fact that sinusitis has a lot to do with the mouth, we are here to let you know more about this condition and the effects it has on your oral health. Sinusitis, or also known as rhinosinusitis, is an inflammation or infection of the sinuses. It is closely connected to the dental health since a part of these cavities are located around the oral cavity. The symptoms can also affect the mouth and dentists are often the ones that notice signs of sinusitis. It appears with both children and adults. Treatment is needed in all of the cases, first to ease the symptoms and also to prevent further complications. The most common symptoms of sinusitis are high fever, pain in the face area, nasal mucus, no smell sensation, intense pain or a headache, plugged nose, and more. Sometimes that pain can spread to the mouth area, cheeks, teeth, throat, ears, temporal lobes. Another very frustrating thing is the nasal congestion that leaves patients breathing on their mouth. If this condition lasts for a longer time, it can cause a dry mouth. Constantly breathing through the mouth will result with xerostomia, a faster thriving of bacteria, gum inflammation, bleeding, dry mouth, throat and more. When it comes to the mucus draining from the nose, it can have a clear color, or it can have a strange discoloration. Shades of yellow or green point out that the condition might be caused by bacteria. Coughing is another symptom that often appears, and can even persist for a longer period of time. Bad breath is present together with the dry mouth. It all depends on which sinuses are affected and how long the inflammation is present. Although different sinuses can be affected, the two main types of sinusitis are acute and chronic. An acute one is a type that lasts for a short amount of time, and the symptoms are taken care of. If patients leave the condition unattended, and the symptoms are only halfway treated, this may lead to a chronic sinusitis. The acute form lasts less than 4 weeks. According to doctors, if the inflammation persists for more than three months, that is when it becomes a chronic one. With this type, it is really hard to properly find a way to treat it, because in most cases it leaves several permanent changes, especially in the tissue underlining the walls of the cavities. IF those altercations happen, doctors will have a harder time treating the condition, so that is why you should always ask for help the moment you notice symptoms. Sinusitis can be caused by many symptoms. This is considered to be a respiratory condition so the most common causes are allergies, bacterial infections, many types of irritating substances, a nasal polyp, a number of other medical conditions, respiratory infections, viral infections, deviated nasal septum and more. The acute form of this respiratory condition appears usually when there is some type of viral infection in the track. It can be caused by influenza, rhinoviruses, adenoviruses and many more. With the proper treatment, the symptoms should disappear within a week. Bacterial infections caused by Haemophilus Influenzae, Streptococcus pneumoniae also appear often. This type requires a more intense and persistent treatment with the right medication. Fungal infections are rare and should be treated right away. They are connected with immunodeficiency. Tooth infection is another cause that can lead to an acute sinusitis. If the condition persists for more than three months, it is officially a chronic one. This form is divided into two large groups: with or without a polyp. Nasal polyps cause a condition called chronic hyperplastic sinusitis. It is still not completely clear if only one factor causes the hyperplasia, or if it is a combination of multiple. Some of the ones that are a part of everyday life are pollution, allergies, dust, bacterial infections and more. The form without a polyp is also a persistent one that lasts for more than three months. It all starts with the same symptoms and if not treated, it causes permanent changes in the structure of the cavities. The common factors that cause it are an untreated bacterial infection, or one that was not treated properly, frequent irritation with allergens, pollution, smoke, and more. What most people are not aware of is that a sinus inflammation and oral health are very closely connected. One of the main things that will surprise you, is that conditions of the teeth can lead to sinusitis. There is a sinus cavity located in the upper jaw called a maxillary sinus. The inflammation of this sinus can travel from other cavities, or it can be the primary source of inflammation and infection. This type of sinusitis is called a maxillary and can often be misdiagnosed. The same thing applies to all of the types from this condition. Although a lot of people suffer from it, doctors can mistake it for a number of other conditions. The maxillary sinus is the largest one of them all. If it is inflamed the process can spread to all the other cavities. It is located in the back part of the upper jaw on both sides. It is above the posterior teeth, and there are cases where these teeth with the tip of their roots are even a part of the wall of the sinus. 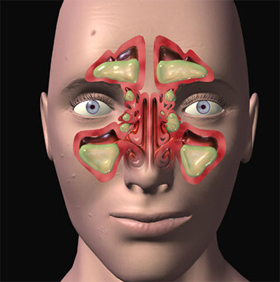 This is an easy entry point of infection, so that is why sinusitis is very important to dentistry. A detailed x-ray shows whether the apexes are close to the sinus, or they are separated with bone tissue. This is also important for dentists before they decide to extract posterior maxillary teeth. A sinusitis that is caused by a tooth infection is called an odontogenic sinusitis. In the past, research showed that a very low percentage of the cases had an odontogenic origin. Latest studies show the complete opposite. Almost 40 percent of all cases of sinusitis are somehow connected to the oral cavity. This is definitely a worrying number, so everyone should know more about how the sinuses and dental health are connected. This type of inflammation is caused by a bacterial infection. If there is a process happening at the apex of the tooth, it can easily reach the wall of the sinus, and the infection will spread inside the bone cavity. Another way to go is an extraction of a tooth, that ruptures the wall of the sinus, and leaves an open path for bacteria to get inside. Since the x-rays don’t always show the exact amount of bone between the sinus and the tooth, dentists can have a wrong impression on whether they should remove the tooth or not. If the sinus is opened after the extraction, every single dentist should take care of it, or send the patient to an oral surgeon so that the condition is treated immediately. If the opening of the maxillary sinus happens during extraction or a dental procedure, patients usually have symptoms right away. The range includes a headache and aches in the affected area, unpleasant feeling, discharge, nosebleed, circulation of air from the nose to the mouth, liquids coming out from the nose and more. All these symptoms will make patients visit the dentist once again and get the situation taken care of. This is a symptom that accompanies all types of sinusitis if they persist for a longer period of time. If there is nose congestion, the patient will start breathing on their mouth. This leads to a dry mouth and bad breath. The condition affects the throat as well, which leads to that bad smell. Dry mouth is characterized by a lower flow of saliva, making it easier for bacteria to cause decay. Saliva actually helps with cleaning the teeth and removing food remains. The most important thing about sinusitis is treating it on time. In an ideal case, a medical professional will recognize the symptoms and start treating it right away. It all depends on the cause of the inflammation. If it’s a bacterial one, it will be treated with antibiotics. 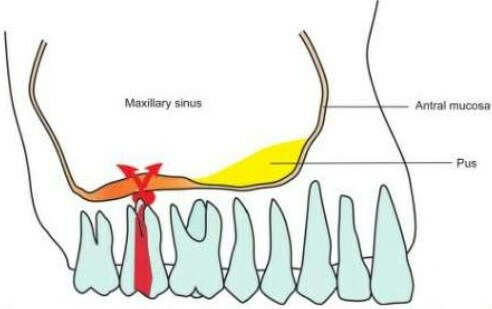 Maxillary sinusitis is almost always connected with the prescription of antibiotics. 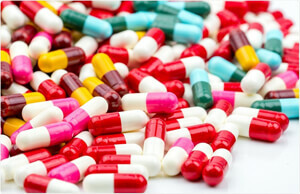 There is a number of other medication that is meant to ease the symptoms.